We’re into the time when our Webelos brethren have made or are making the decision about continuing on in Boy Scouting. There’s always a range of interest levels among our incoming Scouts. In my experience, about half are coming over with great enthusiasm and are looking forward to the adventures ahead, earning ranks, going on campouts, and having fun with their friends. The other half approach with some level of trepidation – not knowing what lies ahead, apprehensive about the outdoor experience, wondering just what they’re getting into or being befuddled by the changes the Boy Scout program brings. Enlightened Webelos leaders can be helpful by letting go of old Wolf and Bear ways, running their Webelos dens more like patrols and getting the boys outside. However, some keep up the younger-boy program style until crossover, making a transition meant to be smooth much more abrupt than it should be, risking the loss of boys from Scouting in the process. Some of the hesitation comes from the parents too. It’s become more common for parents to put their kids in a variety of extracurricular programs ranging from music lessons and academic clubs to youth sports leagues and training sessions. Parents who don’t understand what Scouting is, and what it brings to the table, can view it as just another youth activity to drive their son to on a Tuesday night. Faced with a calendar that now fills up faster with weekly troop meetings and monthly campouts, parents often feel they’ve reached a tippinng point and make the decision to scale back their son’s activity – and Scouting is often the loser. Why should that be? Doesn’t Scouting provide benefits that most youth programs don’t? Of course it does, but many parents fail to see the self-reliance, the variety of personal developmental skills and the leadership that Scouting offers deep down below the outdoor program. They may be familiar with Cub Scouts by now, but don’t realize the doors that are unlocked once their son joins a troop. How can we counter the tendency for parents to feel that they must make a decision on their son continuing in Scouting or pursuing a spot on a travel hockey team or youth football squad? Since the transition from Cub Scouts to Boy Scouts provides a convenient bail-out point, many boys just stop coming to Scout meetings and activities without really knowing what they’re missing. So here are some of the objections we hear frequently from parents who think their son just isn’t interested (most likely, he is) and what we can do to convince them otherwise. He already has another activity on the troop meeting night. There’s little we can do to overcome the objection that religious education classes or music lessons are important. However, when you consider the benefits that Scouting brings, changes should be contemplated to draw in those benefits. Maybe music lessons could be switched to another night. Maybe he could come late to a troop meeting following a sports practice. A short-term situation is OK because Scouting is there when the season ends. If there’s an iron-clad conflict, a troop that meets on another night could be the answer. Scouting costs too much – we’re already paying for other activities. Everything has a cost, but Scouting is very reasonably priced. Because leaders are volunteers, there are no coaches to pay, no buses to charter and no field or ice fees. Equipment is usually owned by the troop, so the cost is kept quite reasonable. Dollar for dollar, Scouting offers the best value of any youth program. Experienced uniforms can usually be had for the asking, as well as any hand-me-down camping gear like mess kits and sleeping bags. You don’t need the latest performance gear to play our game. I’m a single mom – isn’t Scouting for dads only? Not any more! The BSA has allowed female leaders for decades, and women are always welcome in committee roles or just to help out. Lots of ladies love camping and the outdoors too. Remember, although parents are always welcome to observe, Scouting is not a parent-son activity – he functions within his peer group (the patrol) and the intrusion of parents takes away the benefits of self-reliance and leadership development. The troop meets at a different church than the one we attend. Yes, a Scout is reverent, but Scouting expects each member to express that reverence in his own way. Most troops are open to all faiths, even though they may be chartered to a particular church. There are a few troops that only accept members from a certain faith or congregation, but you’ll be welcomed at almost any troop regardless of denomination. My son really doesn’t like camping. Camping can be scary for a young person who has never done it. They may have visions of critters or animals invading their campsite or of being cold, wet or otherwise uncomfortable. But have you ever gone camping with a group that knows how to do it the right way? Scout camping is very different from camping at the typical campgrounds you see at state parks or commercial sites. We camp not primarily to be outdoors but because it is in the outdoors that boys can learn to live with, relate to and lead each other, away from indoor influences like computers and video games. Experienced campers can help your son learn to be comfortable on a campout and can teach you what he needs and how to help him learn to love it. Adult leaders have seen homesickness many times and are often well equipped to handle it. A fear of camping can be a barrier to participation, but experience shows that even the most hesitant boys will come to love the outdoor experience, and the freedom and camaraderie it provides. Junior’s going to be a (hockey, football, baseball) star and he needs to concentrate on his game so he can get a scholarship. Sports are a great way to involve a young person in wholesome, team-oriented activities where he can learn to contribute to something that’s larger than himself. But keep in perspective that very few youth athletes go on to star in college or the pros – the figure is fractions of a percent, even though more than half believe that they’ll make it. Think about what it takes to succeed at sports, and leadership comes to the top of the list. What’s the best way to learn leadership? By actually leading – not by being led. And what does the best job of providing opportunities for boys to actually lead? Scouting, of course! The time commitment is often brought up as well – “He won’t have time because he has practice three nights a week” – but the most active Scouts are usually those who are also involved in other activities. Everyone has the same 24 hours, after all – it’s in how you manage your 24 hours that determines your level of success. In our troop, we have had Eagle Scouts who not only excelled academically but were active in football, baseball, wrestling, swimming, hockey, lacrosse, band, drumline, debate and robotics – and most did more than one of these. Many held down part-time jobs as well. I’m sure your troop is similar. In contrast to an activity like sports, where success is measured game by game and score by score, the benefits of the Scouting program for our youth may not be seen for many years, when a young man finds success comes more naturally later in high school or in college. I’m sure that you have heard many more objections. What are some ways you have developed to convince parents and boys otherwise? 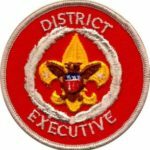 I’d like to hear some of your thoughts on how we should be encouraging our crossovers and their parents to think “and,” not “or” when it comes to Boy Scouts. My son has been in Boy Scouts for two years and I took on the job of handling the Webelos-to-Boy Scouts transition for our Troop last year. A common obstacle that I see is the conflict with sports (junior’s going to be a star). I ask the parents a question “what are they doing at every single sports practice, game etc?” They are doing exactly the same thing every time; constant repetition. But in Boy Scouts, they are doing something different at every campout. One campout is canoeing, the next is orienteering, the next is hiking, the next is wilderness survival etc etc. Not only are they doing different things, they are learning skills that very few people know how to perform!! I mention that probably 80% of American boys know how to play baseball (football, basketball, soccer etc), but how many know how to read a compass? or survive in the wilderness? or perform a water rescue? I point out that this is an opportunity to learn these skills and leadership. Another question I ask is “who is running the team?” Sports are almost entirely directed by the adult coach, not the youth players. There are very few high school quarterbacks who call their own plays or pitchers who are choosing their own pitches. In Boy Scouts, the Troop is led by the Scouts, with assistance from adults. A great example of leadership in action.